For Giuditta Parisi, traveling by bike is a special way to get into the heart of a place. A lover of nature and travel, she began cycling at the urging of a friend well over a decade ago, and the bike quickly became her great passion. 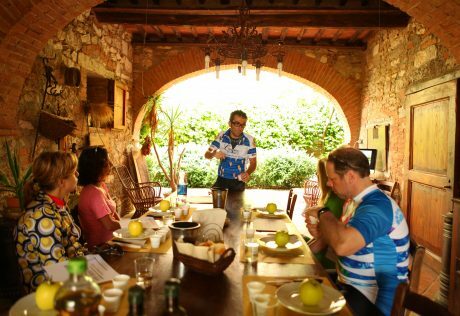 Though new to the Ciclismo family in 2013, Giudi has years of experience as a bike tour leader in Tuscany, including organizing many culinary bike tours to taste the natural bounty of the region such as olives, honey, and wine. Beyond Tuscany, Giudi’s favorite places to cycle include the Alps and Liguria. Giudi was born and still lives in Montalcino, a small town in Val d’Orcia in Tuscany. The mother of a young daughter, Matilde, Giudi loves the Val d’Orcia for its rich history, traditions, culture, food, and wine. In fact, winemaking is in Giudi’s blood: Her family runs a winery, NostraVita, that produces Brunello di Montalcino, one of Italy’s most famous varieties of wine. 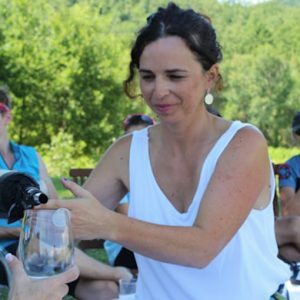 Giudi loves sharing her knowledge of the production process and her passion for the special wines of her homeland with her guests. She has her own graphic design business and also enjoys using her creativity to design logos, brochures, wine labels, and other materials for her family’s product.